This crochet pattern gives you the instructions, so that you can make a warm and fuzzy monkey hat, diaper cover, and little Amigurumi banana prop. Perfect photo prop for every little boy and girl! Great for any newborn photo session! This crochet pattern gives you the instruction, so that you can make a warm and fuzzy monkey hat, diaper cover, and little Amigurumi banana prop. Perfect photo prop for every little boy and girl! Great for any newborn photo session! Button – 1 and 1/8 inch, with needle and thread or worsted weight yarn to make your own! Skill Level:​Intermediate, due to difficulty of using pipsqueak yarn. These sizes are approximate and actual measurements of the child would be best. You will need Adobe Acrobat Reader to open this PDF file. If you need it in a different format, please let me know. 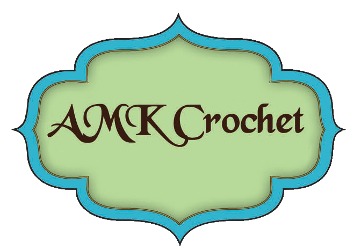 All patterns and pictures are copyright AMK Crochet. You may not copy, resell, or distribute this pattern or pictures. You may sell finished items made with this pattern, but must include an link back to my store,www.AMKCrochet.com.